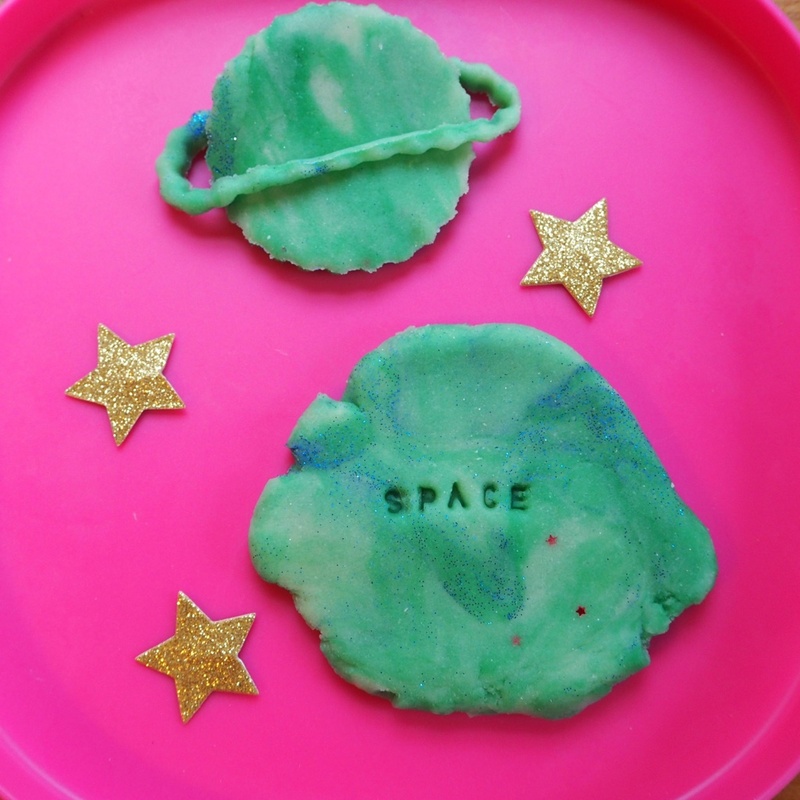 Do you want to know how to make a space themed play dough (playdoh)? 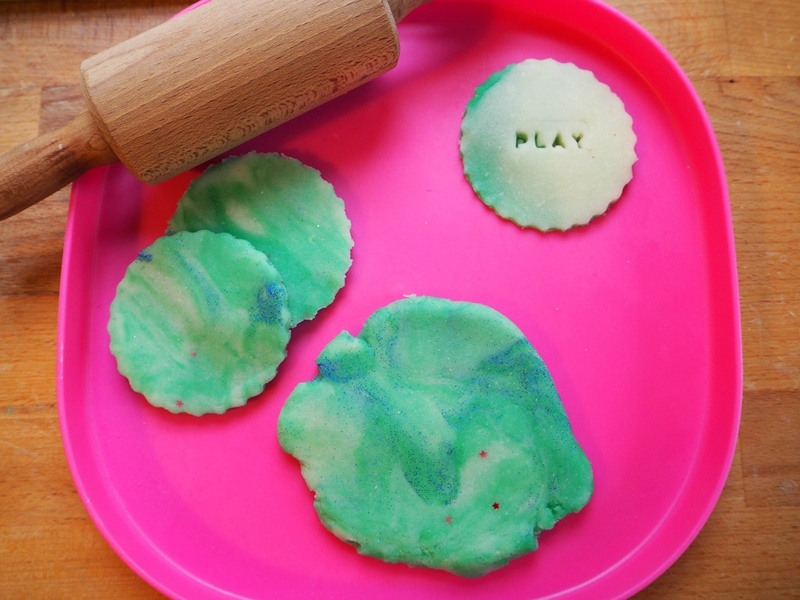 Here is a simple playdoh recipe to follow and try out in school or home. Gradually mix the colours together or leave in two piles so they can be mixed through play. Once you have made your space play dough you can play! I just used a round cutter to create the planet shape and then made a ring of play dough by using 2 different sized cutters, this left a planet and a jupiter style ring. I love the space theme as any colours go and you can add as much sparkle as possible. It’s easy to add other items to extend the space theme add miniature space rockets, astronauts, rocks wrapped in foil (super easy way to make space rocks!) or pebbles. You can substitute the food colouring for Brusho powder. This can be added to the water then mixed whilst heating. Brusho is a non-toxic water based paint. It comes as a powder and can be added to play dough to increase the colour intensity. Keep in an airtight container, if you want it to last for long pop in a tsp of creme of tartar. We now sell homemade Play Dough!